Note: Are you on a MacBook or Mac? You'll install the desktop version of Office. Sign in with your Microsoft Account or Office 365 work or school account and tap Next. Sign in with your account associated with your Office 365 operated by 21Vianet subscription. Note: If you don't have a Microsoft Account, you can create one for free using any email address you already have. If you sign in with a Microsoft account that’s associated with Office 2016 or Office 2019, you may get the option to upgrade to Office 365. Follow the instructions to purchase a plan, or select May be later if you want to use the apps without a subscription. Tap Yes or No to help us improve your Office mobile experience. 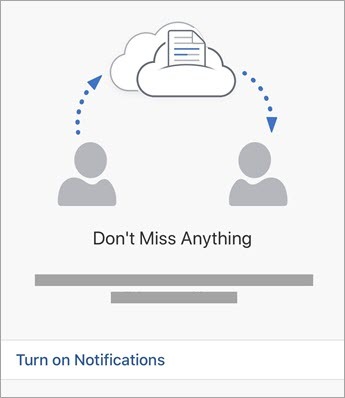 Tap Turn on Notifications to enable alerts or Not Now to opt out. 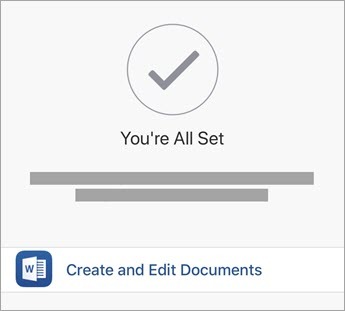 Tap Create and Edit to start working on your documents. 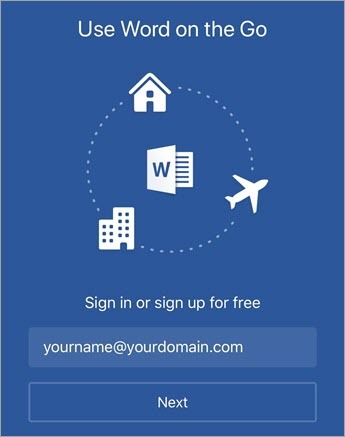 Tip: After you sign in, your account is automatically added to the other Office apps installed on your iOS device. 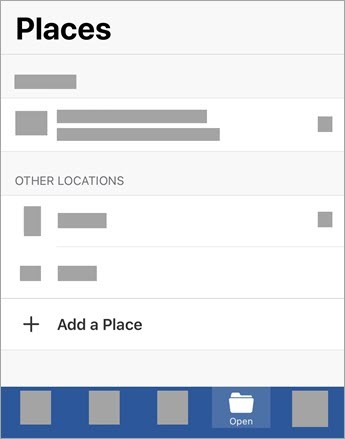 To add another account or cloud service, like OneDrive or Dropbox, tap Open > Add a Place. Choose the cloud service that you want to add. 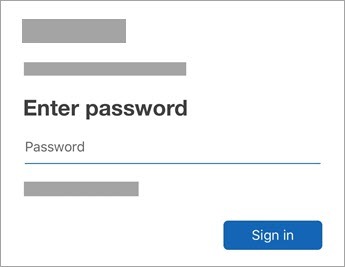 Enter the email address and password that you use to sign into that service. Need help setting up and using Office apps on an iOS device? How do I open documents in an Office mobile app? Tap the service where your files are located. 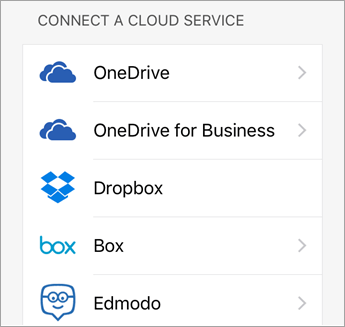 For example, tap Open > OneDrive - Personal or tap Open > OneDrive - your business name. You'll see the files you saved. The files you see are specific to the app you opened them in. For example, if you opened the Word app, you'll only see Word documents. To use the extra features in the apps, you must sign in with the Microsoft account or work or school account that's associated with your qualifying Office 365 subscription. If you have an iPad Pro, you must also have a qualifying plan to do any type of editing on that particular device. See What you can do in the Office apps on an iOS or Android device with an Office 365 plan. From the Word, Excel, or PowerPoint app, open or create a document > tap the icon with the three dots > Send Feedback or Help and Support. In OneNote, tap Settings > Help. Check here for the most current system requirements.